Testimonial from Donna Herman after working with Seta Tashjian for seven years. “After three sessions of the Color Light Pen with Seta, I feel more clear and more capable of seeing myself again. These first few sessions have been a clearing away of what no longer serves and actually seeing what needs to change to get where I want to go, both personally and professionally. I didn’t realize how bogged down I was by certain areas of my life. The path is clearer now. After the fourth and fifth Color Light Pen sessions, I’m getting stronger in how I represent my own needs and wants in my close circle. As a mom, it’s always a balance to get my needs met in the midst of everyone else’s. I’m looking forward to how this progresses and seeing how healthy boundaries continue to evolve. “I am so impressed with the Color Light Pen work Seta does! I took my Bassett Hound, Shila, to her as she’s been having seizures and has not been well for a while. It’s so interesting how Shila responded negatively to most of the colored lights, turning her head away and ignoring them. Seta explained to me that if they don’t need that particular color, animals will intuitively turn away from it. But the color she needed, she was drawn to the light and kept looking at it. The treatment always leaves her very calm and peaceful. “I want to thank Seta for helping my precious little kitty Seraphim Fluffball by creating a beautiful amulet of gemstones meant to protect her. As a “Light Worker” I sometimes have to deal with the “Dark Side”. Recently, there was such an individual who chose to psychically attack me but my own Guardians protect me pretty well…so…she went for my vulnerability …. my cats, who are my children. Seraphim is a very new and innocent little Soul, so this person went straight for her. The psychic attack was so severe that poor Seraphim was completely out of control and even the veterinarian said he couldn’t find the cause. Her behavior had become so violent…completely opposite of her normal sweet self…the vet said I might have to have her put down. Fortunately, I am connected with Authentic Spiritual Healers who detected what was happening and were able to help clear off the Evil energy being directed at her. This is where Seta comes in. She meditated on Seraphim and concluded what gems to put into an amulet to attach to her collar that would ward off and protect her. Not only did it help, but she is now even sweeter and more loving and affectionate then she was before the attacks. Bless you Seta. “There comes a time in life when you have to take on the responsibility of YOU. After you have sought guidance and learning from mentors, massage therapists, doctors, holistic practitioners, etc., sooner or later you have to turn inward and do your own work. I first saw Aura-Soma® in Australia 20 years ago. You never forget it when you see it. It’s like a mesmerizing collections of jewels…Aura-Soma® is more than color therapy. It’s magic to order, customized by you. 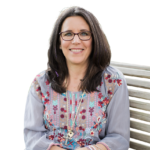 “When I first met with Seta for the Aura Soma® consultation, I was in a personal crisis. It was deep inside and I suffered privately. I was being pulled to follow my ‘true path’ but didn’t trust that it was a viable choice. When I chose the bottles during the consult, I didn’t trust why certain bottles were jumping out at me. Then Seta described the bottles’ meanings…. I was so amazed! The bottles were telling me to do what I had been struggling with, to follow my true path and that they would support me. Seta’s intuition and interpretation was right on! Since using the bottles (for about 3 months now), I can only say that I feel on track, confident, grounded and solid. I am following my true path and things seem to be just flowing as they should! “It is very obvious that working with Aura Soma® is one of Seta’s callings in life. It’s apparent that she is deeply in tune with the products and process. Seta effectively combines product knowledge with intuitive understanding, which offers the client an exceptional experience full of insight and assistance into one’s soul journey. “I’d been having some conflict with a group that I work with. When I had to meet with them, in person or over the phone, I would put the oil on my eyes, around my head, and down to my spine, asking for clarity of vision and purpose, and calmness of mind. I’ve been told my dealings with the group over the contentious issues has been exemplary, so I think it greatly helped me to keep focus on what needed to be the outcome and we achieved it!